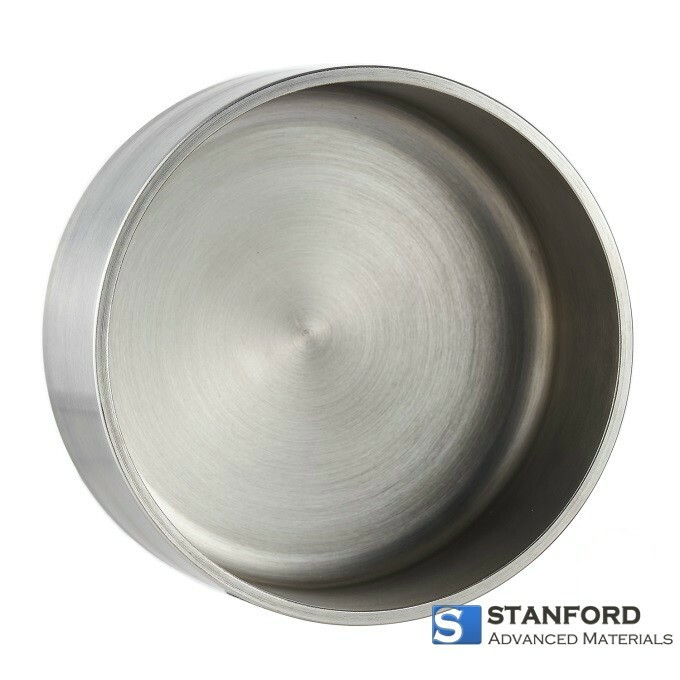 Stanford Advanced Materials provide pyrolytic graphite coated and whole pyrolytic graphite crucibles. 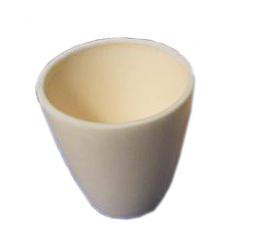 We can supply 1~200ml crucibles for whole pyrolytic graphite material and larger sizes are available for coated products. The largest available size for PG coated products can be 350mm*600mm. 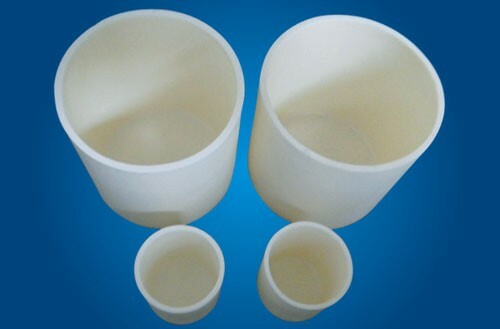 As most of the pyrolytic graphite and pyrolytic boron nitride (PBN) products are customs made, please allow 3~4 weeks of leading time. 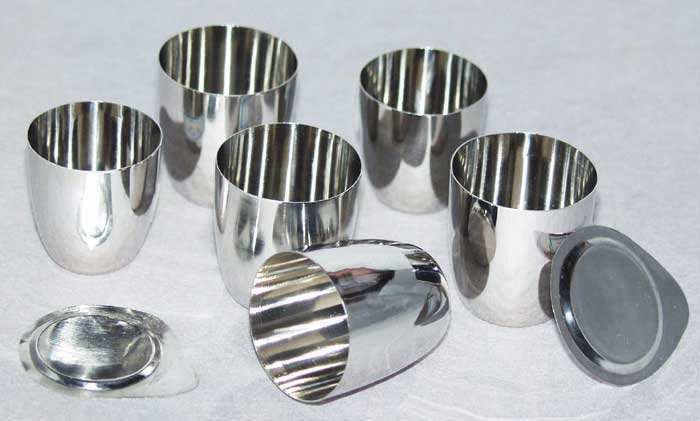 Silicon carbide CVD coating is also available. The default membrane thickness of our pyrolytic graphite products is 30um. 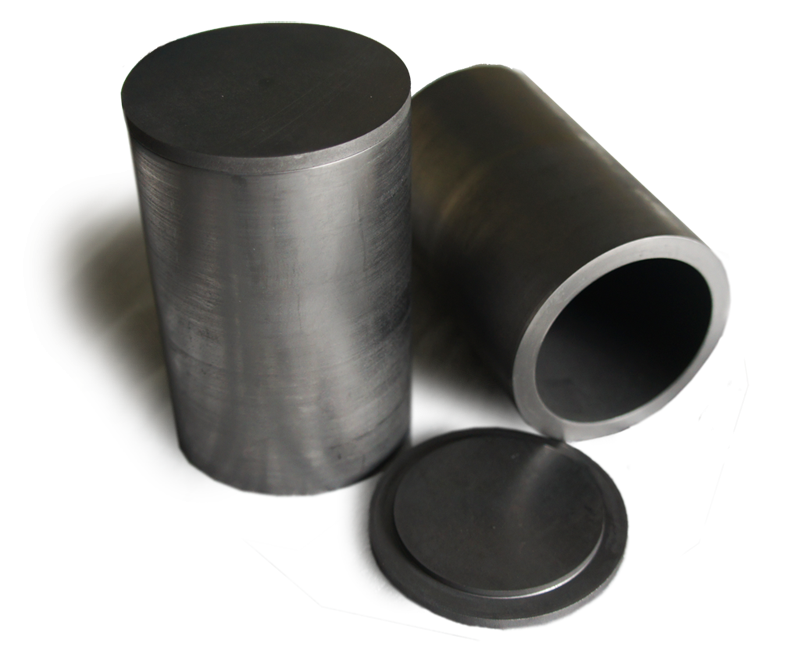 Pyrolytic graphite (PG) is a synthesized material created by chemical vapor deposition process(CVD). Carbon source for this process is natural gas, such as methane. Since the purity of gas is easier to be controlled than solid graphite, the purity of pyrolytic graphite material could be extremely high. Total impurity content is usually less than 10ppm. Pyrolytic graphite could be used as coating material for the substrate such as normal graphite. Since the PG coating is made by CVD process with high purity gas, the surface of the pyrolytic graphite coated products has extremely high carbon purity and strength with almost zero porosity. If pyrolytic graphite material directly deposited on a mode, instead of a graphite substrate, pyrolytic graphite products without substrate could be obtained if the CVD process is long enough. The wall thickness of whole pyrolytic graphite products is usually 1mm. Since pure pyrolytic graphite products need more material and longer time to produce, the cost is higher than normal PG coated graphite products. Five stars. Shipping was fairly quick. Product was exactly as expected.